During a conference call with the media earlier today, GFW Chief Creative Officer Jeff Jarrett said that Alberto El Patron will not be cut out from the shows that were taped last week and for now he will remain the promotion’s champion. GFW taped enough episodes of Impact that will take them through mid August and editing El Patron from all the broadcasts would have been a nightmare. 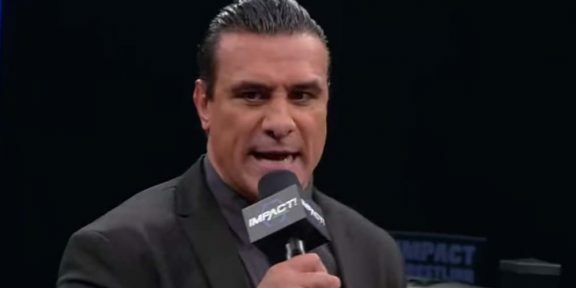 Global Force Wrestling suspended El Patron pending the outcome of the investigation that he’s currently under from the Orlando Police Department and said that Anthem is doing its own investigation and trying to figure out exactly what happened. El Patron has been the “chosen one” so to speak by Jarrett and was brought in when Anthem took over the company.